With traditional consoles still prohibitively expensive in Brazil, it shouldn't be surprising that other segments of the market have been taking advantage of the situation. Research firm Interpret today released findings from its Free-to-Play Gaming in Brazil report showing the free-to-play PC market to be one such area experiencing growth of late. The report found that last year, of the 51.5 million Brazilian gamers between the ages of 13 and 65, 17.2 million enjoyed free-to-play PC games. That number was up 20 percent year-over-year, with Interpret attributing the growth to a confluence of beneficial conditions, from rising PC ownership and broadband penetration to growing household income and credit availability. "F2P PC games are an ideal middle ground where motivated developers and publishers stand to gain from their efforts in Brazil," Interpret research manager Jason Coston said. "The free-to-play business model aligns uniquely with the needs and resources of Brazilian gamers. 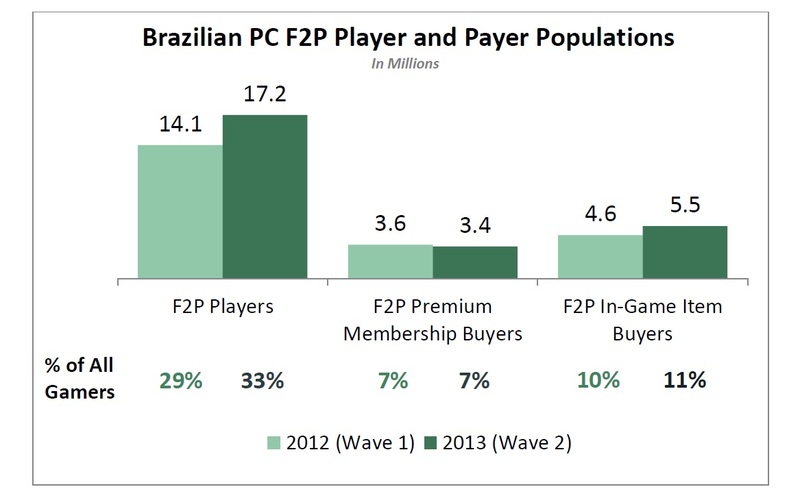 Our data show that, in Brazil at least, the F2P PC market continues to offer great opportunities." For the full year, Interpret puts the Brazilian free-to-play PC market at $470 million, with most of that coming from in-game purchases (as opposed to premium membership schemes). The mobile free-to-play market is also growing in Brazil, the firm said, although the segment seems less friendly to developers thanks to localization costs and an abundance of competition in the sector. The Brazilian market is primed to explode. Publishers would do well to tap the market as it begins its expansion.